Sometimes a that clanking sound I hear is a wrench hitting hitting my proverbial works. 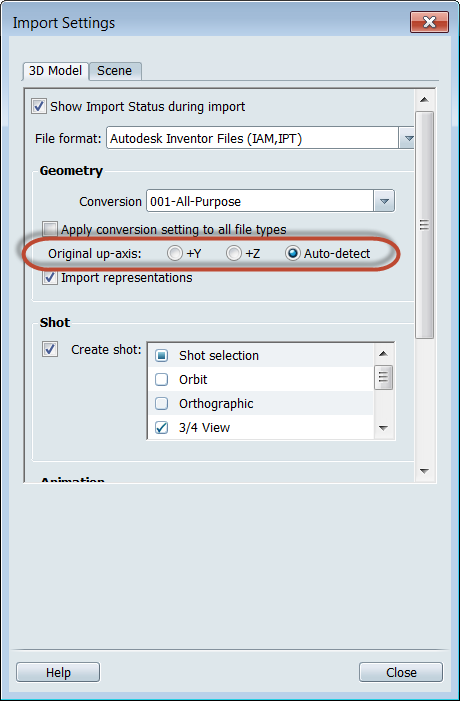 And when importing files into Autodesk Showcase from another system, the import orientation (or disorientation), can be that wrench. Take this for example. Sometimes a file imports, and instead of being right side up, it's completely on its side. 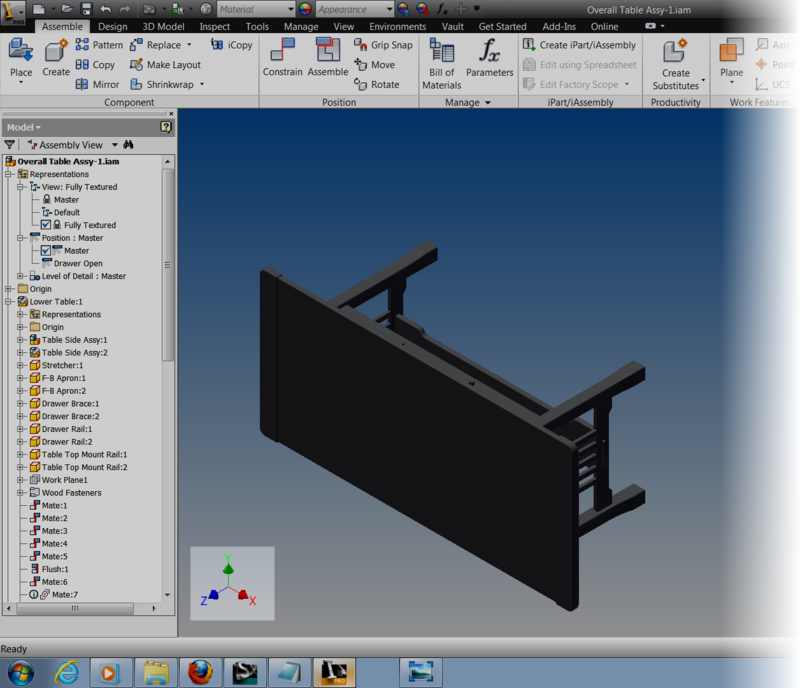 The easy way to fix it is to use the Transform Handles in Autodesk Showcase to correct the problem. But what if there are positional alternatives that need to be preserved? Rotating with Transform handles can sometimes mean rebuilding the alternatives. Fortunately, there is another option when importing files. Preparing to import a file. When the import dialog box opens, choose the "Settings" button. 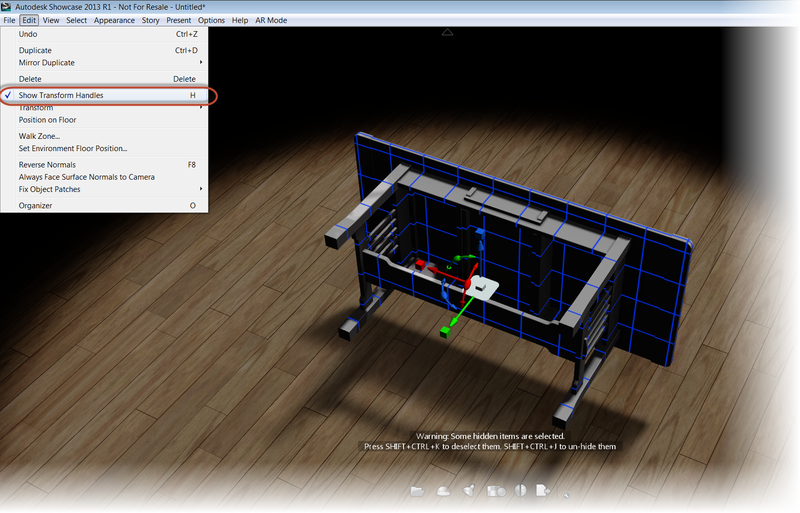 Once the import settings dialog box appears, the setting for "Original up axis" can be seen. This is where I can tell Showcase "which way is up". 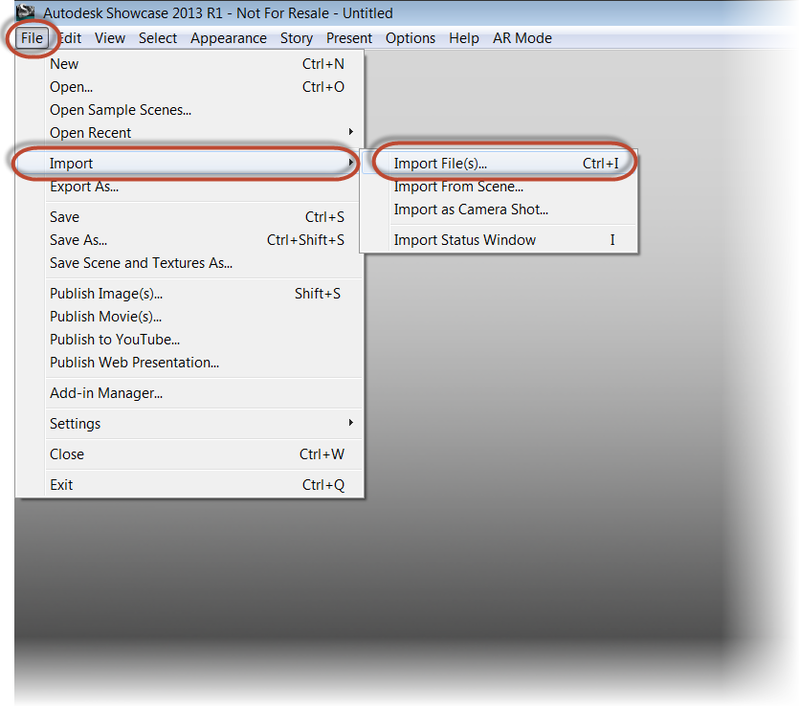 Note that you can also see the "Import Representations" checkbox in this dialog box. 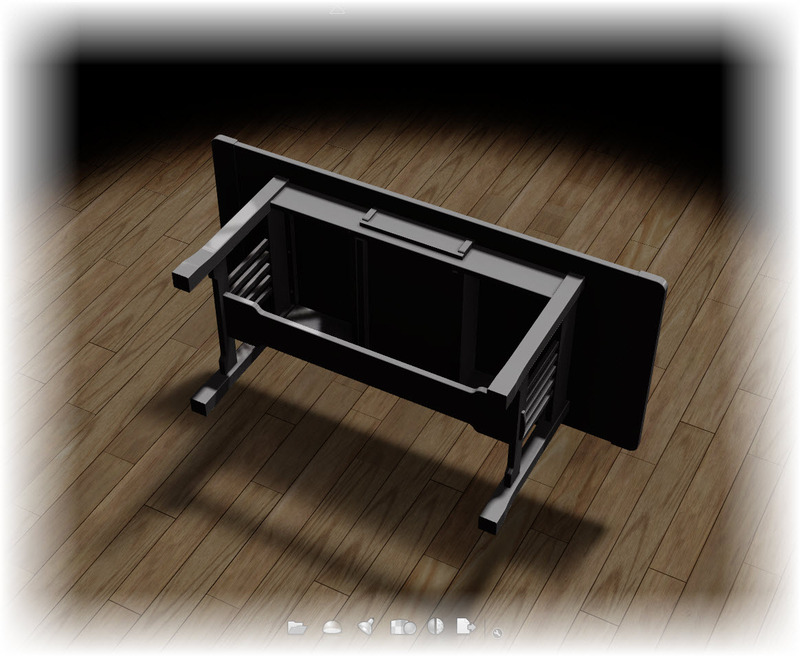 So Inventor representations can be imported in as well. 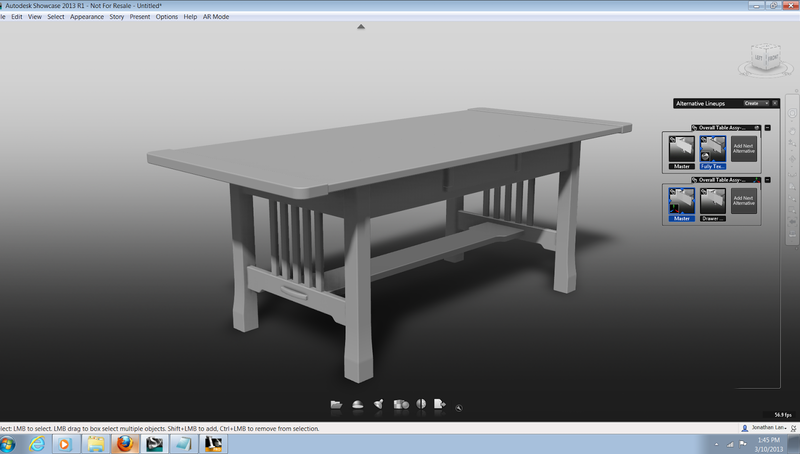 If I take a quick look at the file in Inventor, I can see the +Z-axis corresponds to the top of the table. Seeing this, I'll choose the +Z radio button, and import the files. 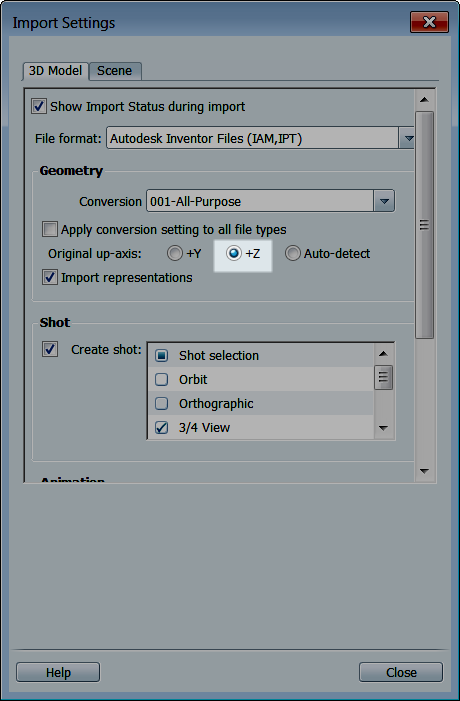 The file will import, and the orientation will correspond to the "up axis" I selected. Oriented with representations created as alternatives! And if you're looking for the usual video that accompanies my blog posts, here you go!